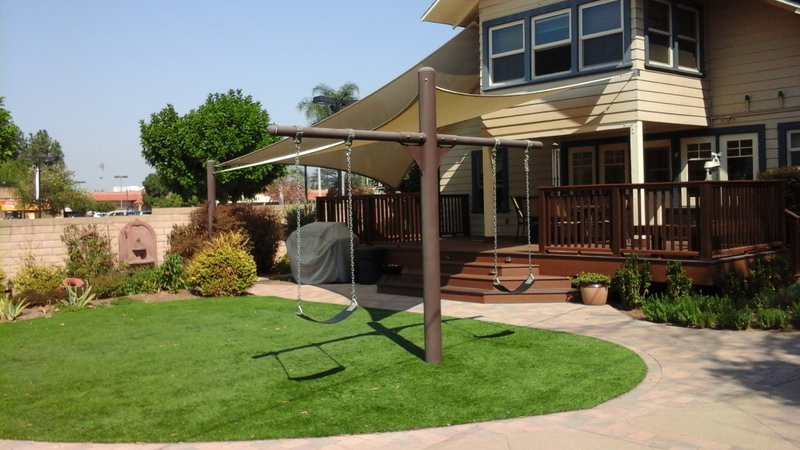 We are California's top rated shade sail installation company. We service commercial and residential properties. We supply the best shade sail material available to ensure it lasts through all the weather seasons! WHAT'S THE COST OF A SHADE SAIL STRUCTURE? Use our shade sail cost calculator to determine a rough estimate. Shade sails are the most beneficial and effective outdoor structures you can ever have. If you and your family or friends love to spend time outdoors and bask in the Orange County sun, having quality shade sails installed can make activities safer and more fun at the same time. Orange County shade sails come in various designs perfect for different applications. 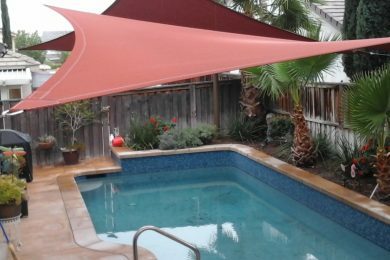 It is a great idea to use Orange County shade sails to protect yourself and your family from the dangerous UV rays when they are enjoying a refreshing dip in the pool. Maximize their use and cover as much area as possible for a worry-free swim each and every time. Shade sails are an ideal solution to provide shade over your patio area. This way, you can entertain your guests even when the sun is scorching outside while and stay protected without any worries. Kids can now spend more time in the playground with no need for parents to worry that they will get too hot or suffer from different skin diseases due to excessive sun exposure. 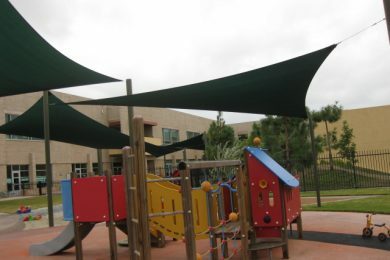 Installing shade sails in playgrounds mean more fun time outside without suffering from direct sun exposure. Whether you need residential, industrial, or commercial shade sails, you can count on us to design, install, and provide you with exceptional shade sails catered according to your specific needs. Here at OC Shade Sails, our projects speak for themselves. We work with certified contractors and use the finest materials on each and every job. After all, quality is and will always be our number one priority. We at OC Shade Sails are your trustworthy sail shade experts that will go above and beyond to provide you the best products and services you deserve and will give you more than your money’s worth. We combine quality shade sails, superior knowledge and expert service unmatched by our competitors. We have the most shade sail experience, experience and resources to make your shade project run smoothly. We can ensure a job is done on time and on budget. We are a fully licensed shade sail contractor and carefully plan a series of steps, centered around a schedule to complete your projects on time. We promise complete satisfaction with every shade sail project. We guarantee your complete satisfaction from start to finish! No one offers a better shade sail warranty than we do. When your purchase your shade structure from us, rest easy that we have your covered and that it will withstand the heat, winds and weather. 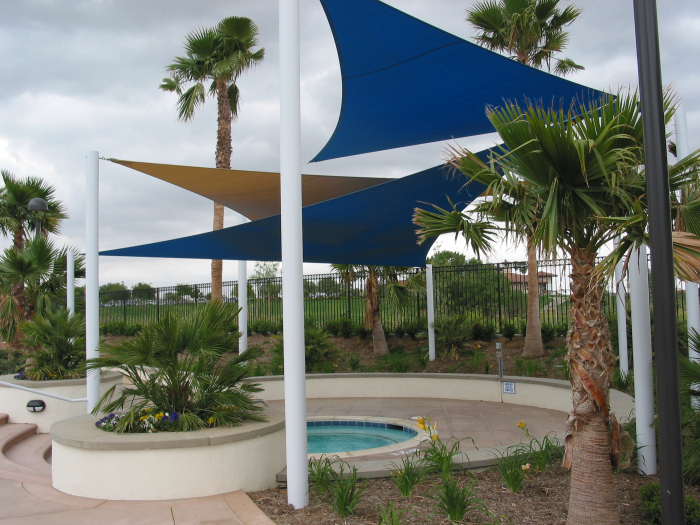 We offer one of the only complete shade sail structure services in California. We will do all the planning, designing, permitting and installation of your new shade structure. WHY CHOOSE OC SHADE SAILS? The team at OC Shade Sails firmly believes in the importance of quality products, services, craftsmanship, and workmanship. Our main goal is to become the leader in the industry and make you our customer for life. As your Orange County shade sails provider, we make it a point that we do our job right every time, the first time. You can also have the peace of mind because we are fully bonded, insured, and licensed and we also guarantee your total satisfaction in every step of the process. Give us a call right now to know more about our products, services, and our company as a whole! Trust the experts who know what they are doing. Don’t risk your shade sail project with some amateur shade sail contractor. Cheaper is not better. We use the best and toughest shade sails imported directly from Australia. No China garbage here! We use the longest lasting shade sails in the industry. Our work speaks for itself. Whether you’re looking for commercial shade sails or residential, we meet all requirements to deliver the highest quality shade structure. -They can keep you cool. -They offer protection from extreme UV rays. -Shade sails keep both adults and kids safe. -They keep your pool and patio areas cool and cozy. -They help you save energy on your electricity bill. -Shade sails help promote ultimate relaxation. -These are aesthetically pleasing to the eyes. -Shade sails have numerous customization options and cool designs. Apart from the mentioned advantages above, our products at OC Shade Sails are also made budget-friendly and are very easy and simple to install. They can properly stretch across structures and distances with great ease and are also totally waterproof and sun-proof. It gives you the assurance that you will be getting a remarkably beneficial and pleasing investment for your whole family, clients, employees, and business. So, don’t look further. 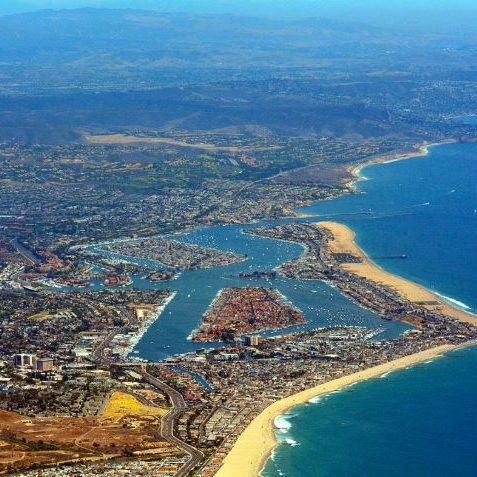 OC Shade Sails is your one-stop shop for all things sails in the entire Orange County. 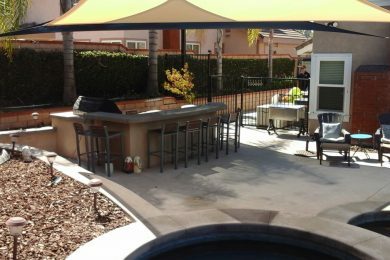 We service Hunnington Beach, Newport Beach, Irvine, Santa Ana, Anaheim, Yorba Linda, Laguna Beach, San Clemente, Fullerton, San Diego, Palm Springs, and Palm Desert. There is no job too small or too big for our team. If ever you have any queries regarding our shade sails, we encourage you to call us to get a quote and learn more about the shade sails we can offer in your area. Again, we like to remind you that we offer estimates for homes or businesses for free to ensure that we will provide you the best appropriate quote and let you sample and test out first the specific shade sail material that might suit your needs and requirements. You know how California can get hot beyond imagination at times. Orange County shade sails are ideal for use all year-round for you to stay cool and properly protected from the harmful UV rays. Our shade sails are durable, long lasting, and worthy investment for the many years to come to ensure that you enjoy exceptional protection even when the sun is out. We adore shade sails. This is our primary focus and our business. You will never find anyone else in Orange County who knows how to design and install shade sails for any type of structure, whether it is for your residential home, an industrial complex, or a commercial business. We can and we do it all. We look forward to meet you and work with you hand in hand in designing the shade sails of your dreams and turn them into reality.